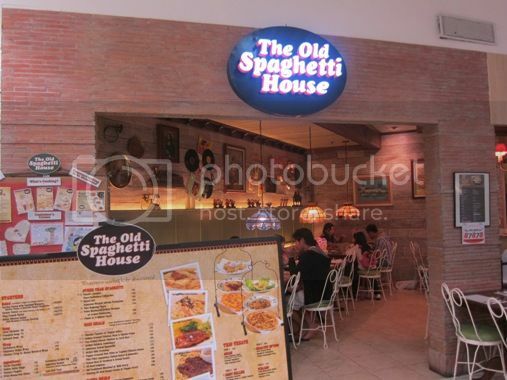 We dined at The Old Spaghetti House two Saturdays ago. It was our first time there. We had the following: Seafood Alfredo, Pepper-crusted Fish Fillet with Yoghurt Cilantro Sauce, Chicken Tenders with Pepper Gravy and Pan-grilled Glazed Chicken with Java Rice. Hubby liked this! 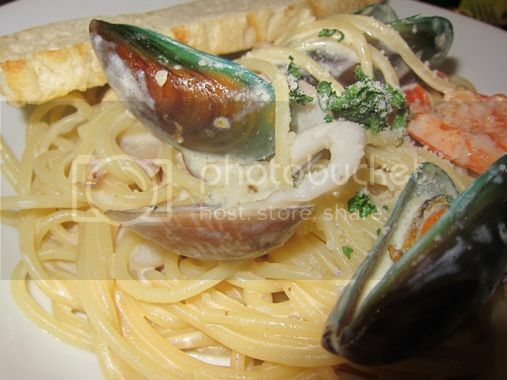 I’ve been meaning to try this pasta dish, but it was gone in a jiffy! LOL! The sauce was yummy! 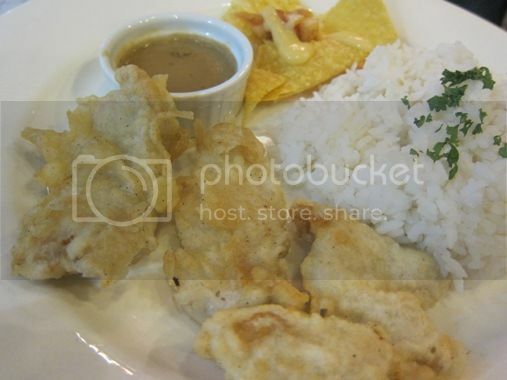 This is actually what gave the cream dory fish fillet its unique, appetizing taste. This one’s for our son. He liked the taco (minus the tomato salsa) more than the chicken. Justin’s yaya said this was okay. The chicken was slightly sweet and tasty. I was disappointed with their Matcha Green Tea because the vanilla milk was overpowering; the taste of the green tea was missing. 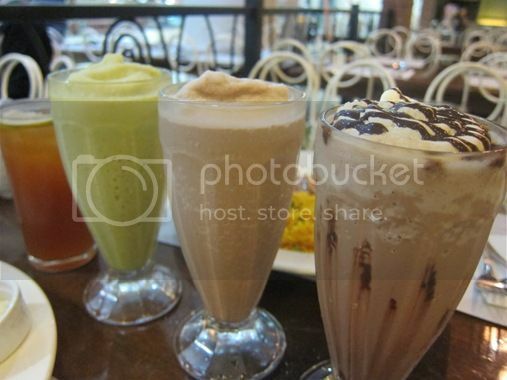 On the other hand, hubby and our son enjoyed their drinks, Mocha Frost and Chocolate Milk Shake. 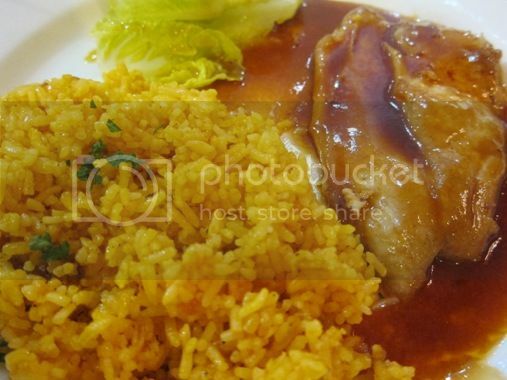 This entry was posted in Food Trip Friday, International Cuisine, Italian Cuisine, Restaurant Review, Robinsons Galleria. Bookmark the permalink. 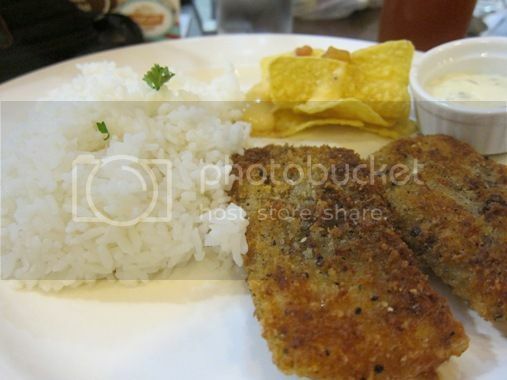 That pepper-crusted fish fillet with cilantro sauce looked appetizing…parang ang sarap gayahin. Hehehe. 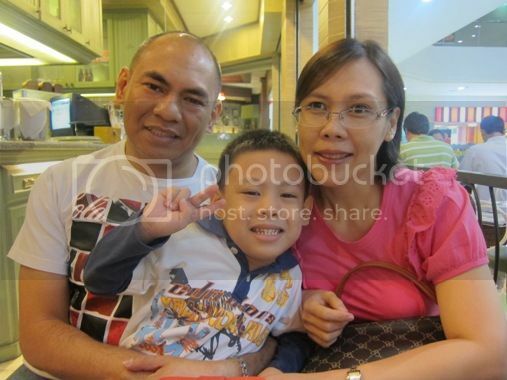 Hopping from Food Trip Friday. I love Old Spahetti House. I love everything on their menu! Pasta lover here 🙂 Visiting from FTF! I want the pepper crusted fish fillet!!! You and your family always have the best meals outside the home 🙂 Yum! Who doesn’t love OSH! have you tried their mud pie? I’ve been meaning to do so pero I want to hear other’s say about it first sana…happy FTF!